Lie your back and keep your feet flat on the floor. Grasp the barbell just a bit shorter than shoulder length. 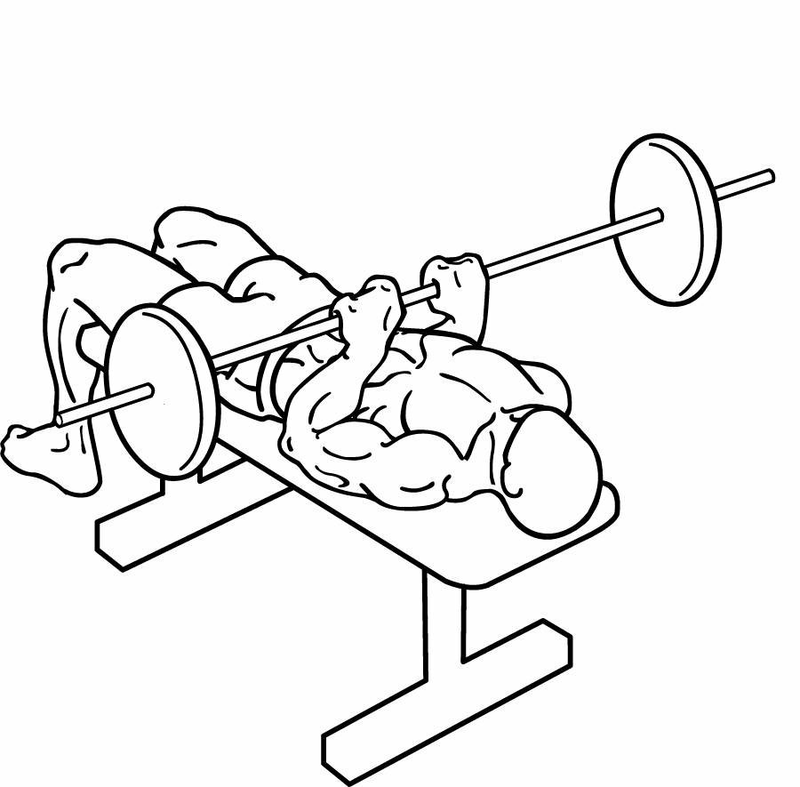 Slowly bring the barbell to the middle of your chest. While in this position, your forearms should be perpendicular to the floor. Keep your elbows as close to your body as possible to maximize your triceps involvement.